What is the future of resale? What does 2017 have in store for you? For some of you, you’re fearful. For others, your view of the future looks strong. Regardless of your personal outlook, resale’s future (consignment, thrift or buy outright) is looking better and brighter. Consumers are smarter than ever and resale needs to keep up. 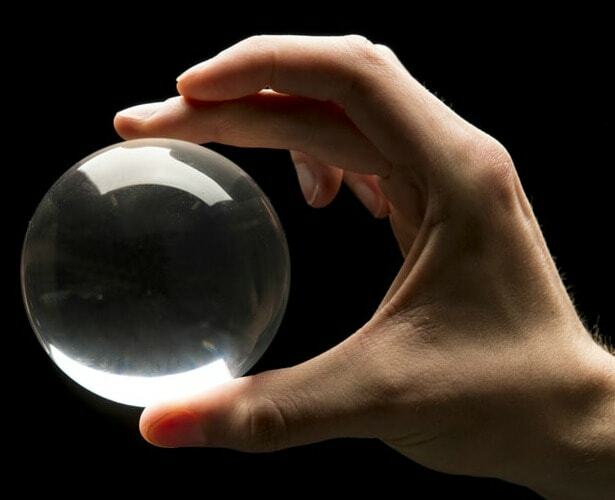 Take a look in my crystal ball and see into the future of resale. Everything is going mobile. DeviceAtlas says 87% of smartphone owners keep their phones by their side at all times. Resale must become completely mobile in 2017. Currently, over 90% of smartphone users start their shopping journey on their phone. Your website or e-commerce site has to be “responsive” or mobile-friendly. Check to see what it looks like on a variety of desktops and phones by viewing it on Responsive Design Checker. Believe it or not, it’s not essential for you to do online sales. Your shop just needs to be found online. Statistics show that 3 out of 4 shoppers are more likely to visit a local shop if they’ve successfully found information they’re searching for online. Read Shopify’s article,”7 Ways to Make Your Brick and Mortar Store Mobile Friendly.” In the future, shops will need to provide mobile payment solutions, in-store WiFi connections and digital receipts. Look closely at the data that’s available about your customers, consignors, inventory and sales. Today’s shoppers want a personalized shopping experience. To woo them into your store, you better have what they’re looking for. Remember, understanding your shoppers buying habits has never been more important. Your POS system should show you a customer’s buying history as well as your top and bottom consignors for any given time period. think with Google reports, “Shoppers want stores to provide experiences tailored just for them; 85% say they’d be more likely to shop in places that offer personalized coupons and exclusive offers in-store.” Collecting all types of data is key to your shop’s growth. The resale industry is primed for growth in 2017. As shoppers increasingly turn to smaller stores and avoid the big “box” stores, resale is in a good position. Shoppers aren’t willing to wander down aisle after aisle looking for an item. They’ll visit a smaller store or purchase online for convenience sake. After all, it’s trendier to visit that small little boutique rather than a department store. For example, Target announced this past fall that it plans to open hundreds of smaller stores. They’re recognizing that the smaller the shop, the easier it is to fit into urban areas which opens a whole new audience. Plus, the smaller the shop, the quicker a shopper can get in and out making visiting a shop vs. buying online more attractive. trends suggests that specialty stores will “win” in the coming year. Their inventory is limited, making their items more desirable. In addition, they’re viewed as providing more personalized service. Stores that are good for the environment will get the most attention. Sustainability and eco-friendliness are a Millennials best friends. They’re not interested in just making a purchase. They want to invest in companies that make a difference in the world around them. “Personalization” Although it’s been around awhile, personalization refers to making a personal connection between the shopper and store. “Retailtainment” This term will be used as stores increasingly build an in-store experience around shopping. Read How to make shoppers happy with simple resale-tainment. “Cognitive Commerce” A big hairy term for looking at your data to make decisions for your business.